I tried the breakfast cookie with my family and neighbors and everyone loved it. It looked healthy but tasted so good, the texture was perfect I ate so many. “My daughter said she doesn't care if this is gluten-free, it tastes so good!" 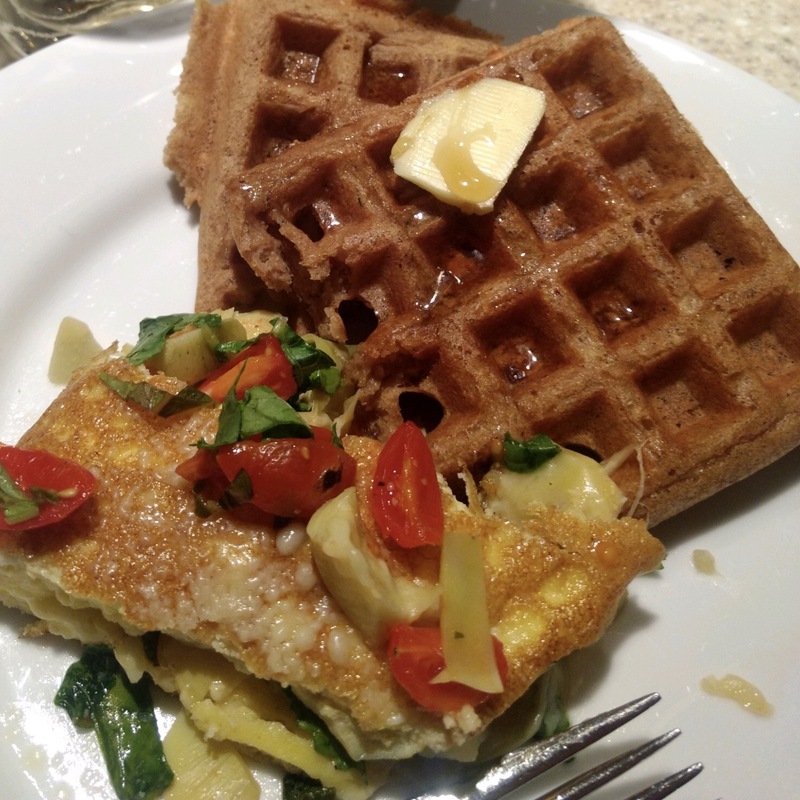 "Cheddar artichoke omelette and waffles for dinner"